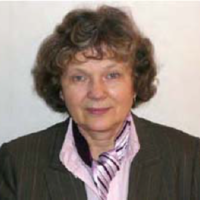 Nina Popova is an associate professor at Lomonosov Moscow State University, Faculty of Computational Mathematics and Cybernetics. She is a Honored teacher of MSU. She was awarded her Ph.D. from Lomonosov Moscow State University. Her research interests include Large Scale Parallel Applications Development and Performance Tuning, Supercomputing Technologies for Bioinformatics, Parallel Applications Mapping onto topology of Supercomputer, Parallel Evolutionary Algorithms. She took part in an international project NIMROD (USA) - a computational laboratory for studying nonlinear fusion magnetohydrodynamics. Nina is actively involved in supercomputing education. She is a lecturer of the courses “Supercomputing Simulation and Technologies”, “Systems and Tools for Parallel Programming”, “Parallel Programming for High-Performance Computer Systems”. She is one of the organizers of the annual summer supercomputer academy, which is held at Moscow State University.